Have you ever been logged into ‘Guest Wi-Fi’ at a hotel and when you walked from your room to a conference room only two doors down, you got kicked off the Wi-Fi network? Or you’re at a tradeshow and you can only get Wi-Fi from one side of the show floor? If you answered, yes, those locations were probably delivering Wi-Fi using a standalone access point. Instead, they might consider using a managed Wireless Managed Access Point (WAP) for internet connectivity. Managed WAP is perfect for large offices, indoor-outdoor campuses or hotels because it does not rely on a single access point and it can cover a larger area. In a traditional Wi-Fi setup, network pros must run wires from a central location to each access point. This connects to a wired router, switch, or hub, which then sends out wireless signals. Instead in a Managed WAP scenario, a centralized Wi-Fi WLAN controller is used to manage several access points (maybe hundreds) from a single controller. In short, a WAP device is a central receiver and transmitter of wireless radio signals that generally produce public wireless hotspots. As a result, controller managed Wi-Fi access points let individuals roam from office to office, or zone to zone, using a single Wi-Fi network. Managed WAP delivers superior convenience and removes barriers to collaboration and information sharing in the office. Reliable connectivity and consistent performance- More and more businesses today rely on enterprise-grade Wi-Fi. The proliferation of cloud-based applications means that employees and partners count on reliable internet connectivity to do everything from messaging, to accessing BI and analytics applications, to paying vendors and monitoring product inventory. A Managed WAP environment can deliver reliable and fast Wi-Fi performance while meeting growing network demands such as adding new users, new guest networks, new applications, etc. Quick, simplified deployment- A cloud-based WAP controller generally includes automated provisioning and access point pre-configurations. Administrators first access wireless network settings from a dashboard, they then mount and plug in the primary access point. From there access points are assigned confirmations directly from the cloud for remote access. Cloud-based controllers can be accessed and managed through any device that has access to the internet. This also gives managers greater network visibility and access to reporting and analytics dashboards for real-time information about network status and usage. Streamlined day-to-day wireless management- New access point policies, security changes, firmware updates, or adding new applications, can be managed directly through the WAP controller. Network changes are then filtered through to multiple access points in one step, which streamlines management and helps maintain Wi-Fi network health. Some controllers also include mobile management capabilities, letting managers enable, disable or extend user access from a smartphone. Guest management from these apps or controllers is also streamlined because administrators can apply different network privileges as needed to specific categories of users. Granular network control- Many cloud-based managed WAP controllers also allow for in-depth traffic monitoring and traffic shaping. This ensures that each user has enough bandwidth to support their applications. Businesses that need this level of control, can use the WAP controller to classify hundreds of applications quickly and create per-application bandwidth limits. This lets users set up rules to prioritize mission-critical applications for adequate bandwidth and restrict non-critical traffic as needed. For most enterprises, the decision to offer high-performance Wi-Fi connectivity for employees and guests is no longer optional. The heavy reliance on cloud-based infrastructure makes secure, enterprise Wi-Fi almost mandatory. 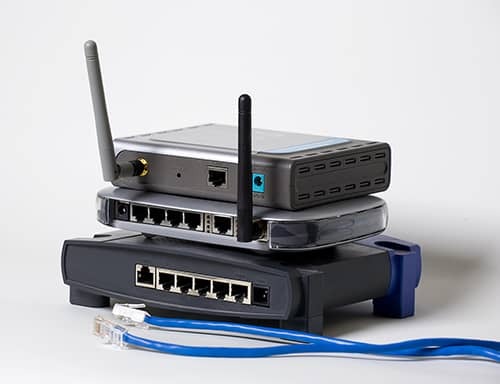 Network administrators looking to streamline Wi-Fi deployment, optimize network performance and gain tighter control over network traffic may find significant benefits in deploying a Managed WAP architecture.